Eye Sight : Could Time Spent Outdoors Raise Cataract, Glaucoma Risk? THURSDAY, Sept. 4, 2014 (HealthDay News) -- Outdoor activities and sunlight reflected up into the eyes may increase the risk of a vision condition tied to cataracts and glaucoma, a new study suggests. There is some evidence that ultraviolet radiation contributes to the condition, called exfoliation syndrome (XFS), but the researchers behind the new study say those findings have been inconsistent. In order to learn more about the relationship between UV rays and XFS, researchers looked at 185 people in the United States and Israel with XFS and 178 people in the two countries without the eye condition. A team led by Dr. Louis Pasquale of Harvard Medical School and the Massachusetts Eye and Ear Infirmary analyzed the latitude where the participants lived and the average number of hours a week they spent outdoors. The investigators found that both factors appeared to affect a person's risk for XFS. Each degree of average latitude that a person lived away from the equator over a lifetime was associated with an 11 percent increased risk of developing XFS, the team found. And each hour per week spent outdoors during the summer, averaged over a lifetime, was associated with a 4 percent increased risk of XFS, the findings showed. But the associations seen in the study do not prove a cause-and-effect relationship. In the United States, every 1 percent increase in sunglasses use during summers over a lifetime was associated with a 2 percent lower risk of XFS, but this was not the case in Israel. The researchers also found that Americans who had a history of working near water or snow were more likely to develop XFS, and that there was no apparent link between wearing brimmed hats and XFS. "This work provides evidence for a role of reflected UV rays in contributing to XFS," Pasquale's team wrote, but they added that genetics and other environmental factors could also play a role. "If confirmed in other studies, there could be reason to consider more widespread use of UV-blocking eyewear in the prevention of XFS," they concluded. 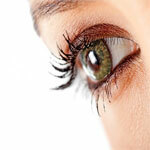 One expert said the study gives valuable information to those looking to preserve their sight. "The research is well-done and provides evidence for a role of reflected ultraviolet rays, among other genetic and environmental factors, in the development of exfoliation syndrome," said Dr. Paul Sidoti, deputy chair for clinical affairs in the department of ophthalmology at Mount Sinai Health System in New York City. "If the causative role of UV light is confirmed, the role of UV-blocking protective eyewear in the prevention of exfoliation syndrome would be substantiated," he said. The study was published online Sept. 4 in the journal JAMA Ophthalmology.